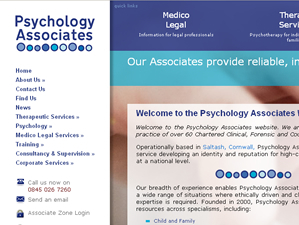 We are a web design company based in North Cornwall. Our team currently consists of Jacob Old our technical specialist, with a over 12 years in bespoke software and web development, and Tim Stafford our lead designer, with a blue-chip corporate marketing career spanning 15 years and designing for print and web in Cornwall for a further 10. We have seen it all come and go, ridden all the changes and adapted our skill set as the changing world dictates. This experience is underlined in all the work we produce and gives our clients the confidence to trust in our opinions as being based firmly on business benefits rather than technological whim. We are passionate about what we do and are committed to providing quality products and services to all our clients. To find out more, why not see what our customers say about us or view some of our most recent designs. If you have a project in mind, don’t hesitate to contact us.